staad is - surprisingly given its reputation - rather a pretty and unassuming town some distance away from many of the slopes associated with it. 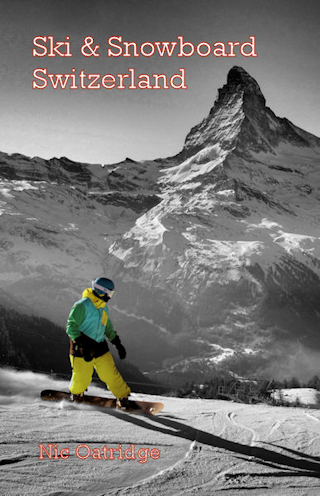 However, the Gstaad Mountain Rides pass does give you access to around a dozen different communities dotted around the beautiful Saanenland and Pays d'Enhaut, and nine different, unconnected and very varied ski area in both French and Schweizerdeutsch speaking Switzerland. Some of the slopes have relatively short seasons and there are not a lot of challenging runs, but Glacier 3000, on the road out to Les Diablerets and optionally covered on the same lift pass, is a snow-sure destination with some tough slopes below the glacier. My favourite slopes are those above Zweisimmen, on the Rinderberg and Parwengesattel, but the runs accessible from the ancient (and due to be replaced) Eggli gondola are also very pleasant. The lifts out of Gstaad are on the edge of town, serving the small Wispile area and the large Eggli-La Videmanette area (which, uniquely, is a French-speaking area at its extremity). The infrequent, but scheduled and reliable, trains and buses can get you to all 6 sectors in Gstaad Mountain Rides. 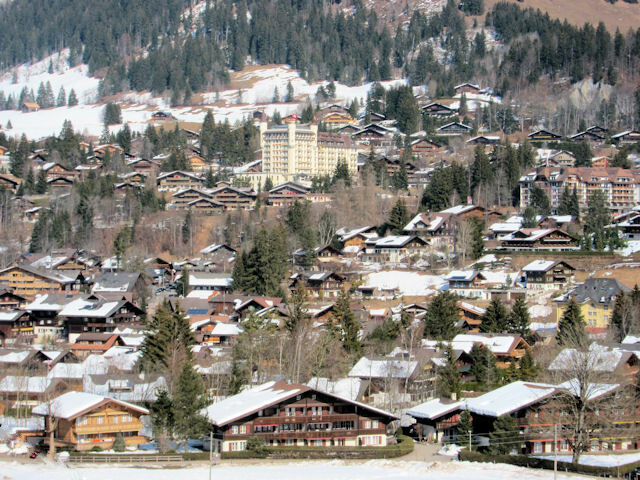 If you enjoy mostly undemanding, scenic slopes, Gstaad is a fabulous destination. That isn't to say you can't find challenging skiing and good lift-served off-piste, but most runs are of intermediate standard. Gstaad is, of course, more than a ski and snowboard destination - there is a huge variety of other winter sports activities, including ice-skating in the heart of Gstaad, around 11 classic and skating cross-country circuits, 34 identified winter walks, 5 toboggan runs, one airboard piste and 14 snowshoe trails (4 of which are clearly marked). For many years the rich and famous have descended on Gstaad, including Sophia Loren, to enjoy the glitz of hotels such as the Gstaad Palace. The runs off Eggli are very pleasant and the valley run into Saanen tends to be the best if snow conditions are not good - the valley run to Gstaad gets large bare patches in warm and limited snow conditions and doesn't have artificial snow cover. 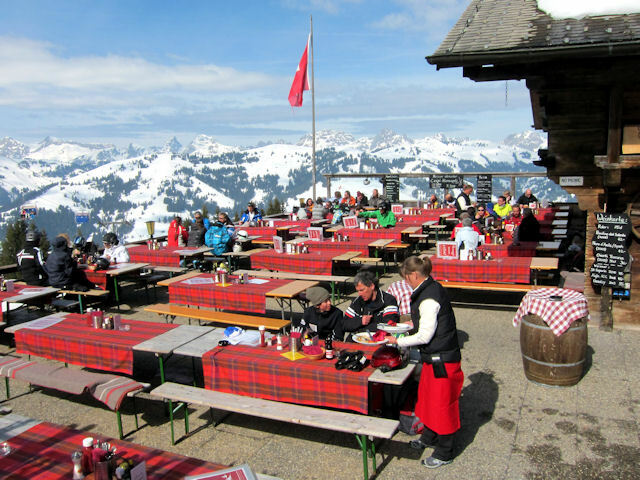 Gstaad has a whole clutch of highly-rated restaurants in the valley, and the Saanenland is renowned for its cuisine. In the mountains one of the best choices is the gourmet Bergrestaurant Wasserngrat (+41 33 744 96 22) and in Gstaad itself, Restaurant Chesery (+41 33 744 24 51). For après ski the FunFun bar and Richie's pub are good, and if you want to dress up the Palace Hotel is the ritzy place to go. 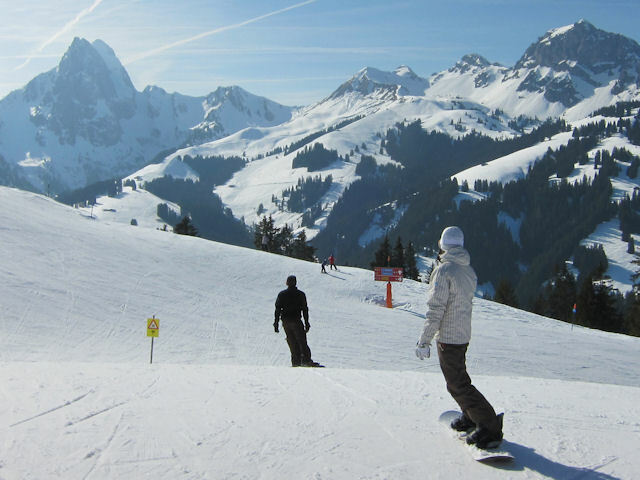 The best destination to access the downhill slopes by public transport in this ski area is Gstaad. It is about a 20 minute walk to the Eggli or Wispile gondolas. Buses also run to a number of other area from station, including Glacier 3000. The resort operates the Snow'n'Rail scheme, providing a 20% discount on the combined travel ticket and lift pass. From Zurich the least travel time is 2 hrs 49 mins with as few as 2 changes going via Bern / Zweisimmen. Typically, an adult one day combined ticket is 173.60 SFr, reduced to 112.00 SFr with a Half-Price card. From Basel the least travel time is 2 hrs 52 mins with as few as 2 changes going via Bern. Typically, an adult one day combined ticket is 159.20 SFr, reduced to 104.80 SFr with a Half-Price card. From Berne the least travel time is 1 hr 47 mins with as few as 1 changes going via Zweisimmen. Typically, an adult one day combined ticket is 107.20 SFr, reduced to 78.40 SFr with a Half-Price card. The road distance from Zurich is around 187 km and the journey time is roughly 2 hrs 25 mins. The road distance from Basel is around 178 km and the journey time is roughly 2 hrs 10 mins. The road distance from Berne is around 86 km and the journey time is roughly 1 hr 10 mins. The road distance from Geneva is around 157 km and the journey time is roughly 2 hrs 10 mins. Other resorts in the ski area include Glacier3000, Château-d'Oex, Rougemont, Saanen, Saanenmöser, Schönried, St. Stephan and Zweisimmen.